4 benching stations. Includes phone, internet, and access to conference room space. 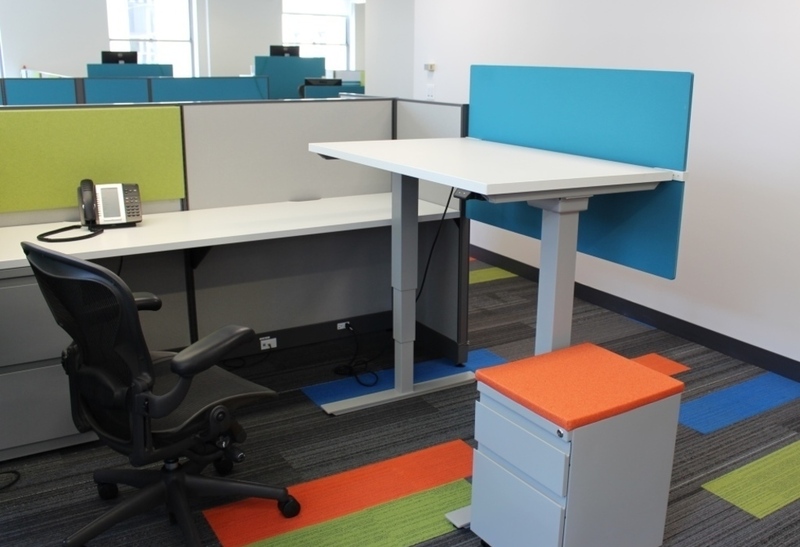 Electronic adjustable height desks. 2 file cabinets. Includes phone, internet, and access to conference room space. Small desk with file cabinet. 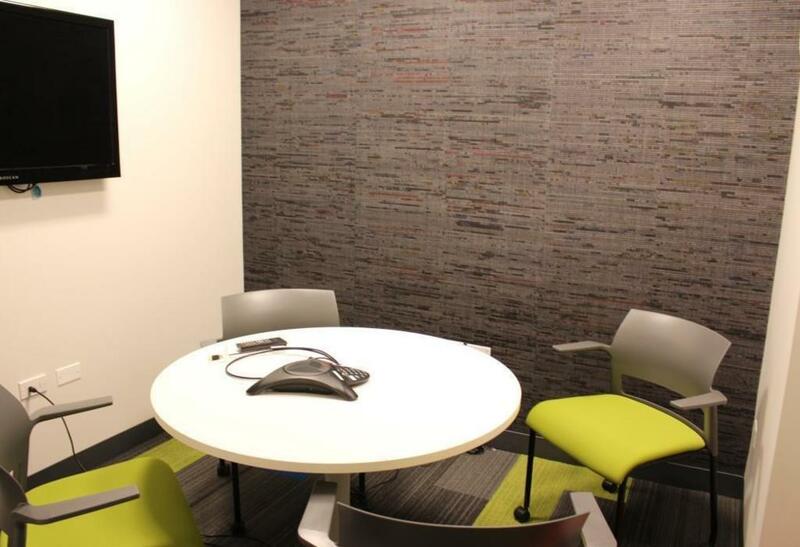 Includes phone, internet, and access to conference room space. Executive office with large desk and meeting table for 2. Large window with natural light. 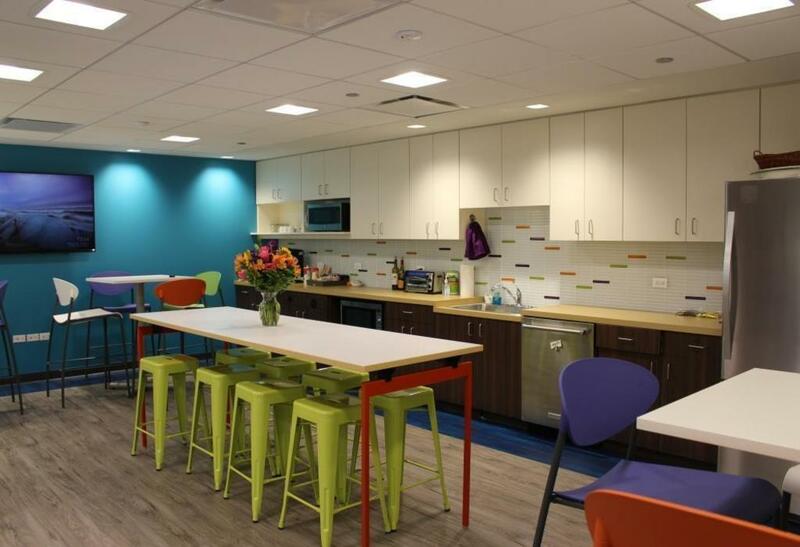 Conveniently located in the central Loop, our office is a colorful, bright space that promotes both efficiency and collaboration. 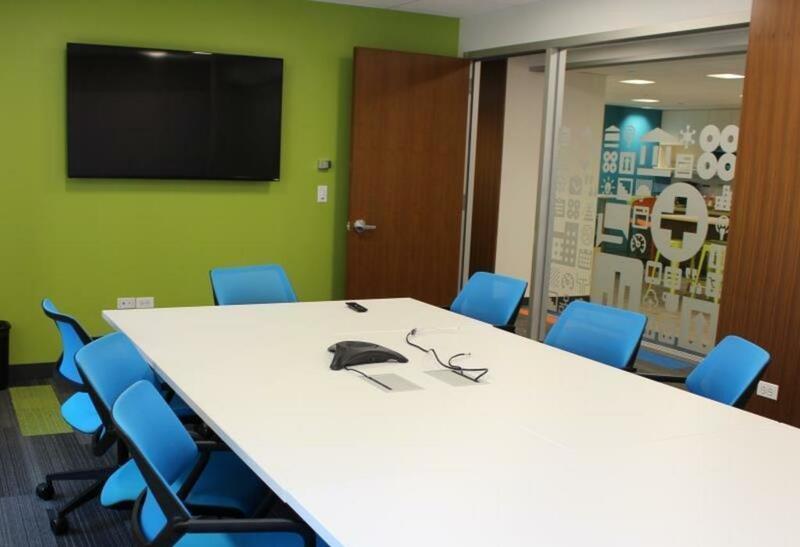 Conference rooms are available for 4-22 people and include flat screen TVs, polycom phones, and logitech cameras. Our open, inviting kitchen features a glass tile backsplash with bold pops of color. 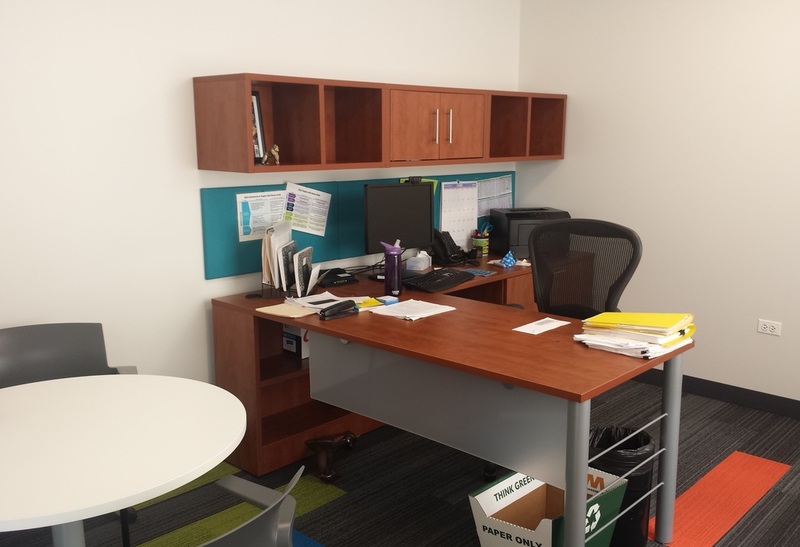 Available desks are in an open-concept environment and some include adjustable sit-to-stand desks. 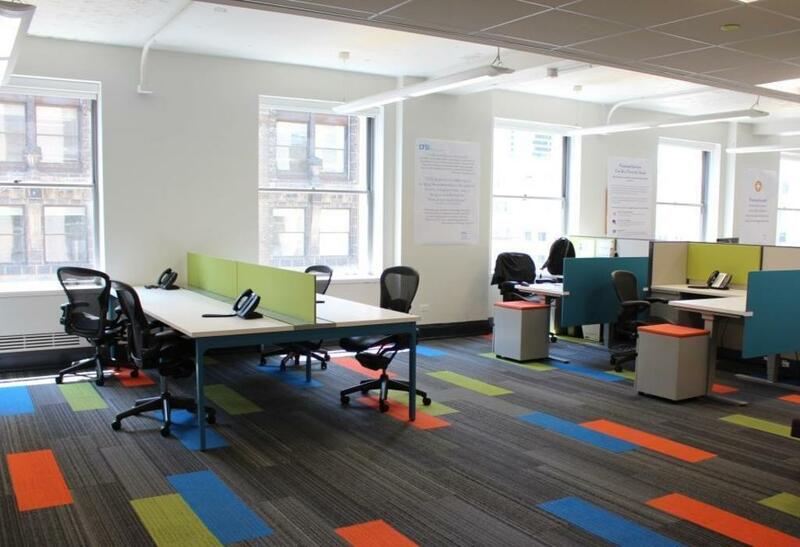 The space offers multiple places for spontaneous collaboration, including a lounge area with a white board wall and a long bench that spans the workstations with comfortable cushions and pillows. When you need to make a private call, step into a stylish phone booth featuring sliding glass doors, a textured wallpaper made from recycled newsprint, and modern hanging light fixtures. A cozy and private Lactation Room includes a sink, fridge, lamp, and comfortable chair and reflects our respect for working mothers. Building amenities include a gym, coffee shop, and restaurants. We welcome the interest of individuals or small teams. CFSI's mission is to improve the financial health of Americans, especially the underserved, by shaping a robust and innovative financial services marketplace with increased access to higher quality products and practices. We believe finance can be a force for good in people's lives, and that serving the needs of consumers responsibly is ultimately more profitable for the financial services industry. Our vision is of a financially healthy America where people's day-to-day financial system functions well and increases the likelihood of long-term resilience and opportunity.